Are you ready for February 14th? Don’t grab something from the supermarket or petrol forecourt, say it from the heart! 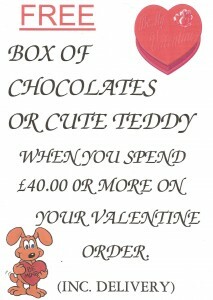 We have beautiful red roses for your lucky Valentine, a prize draw for all deliveries, and for orders over £40, free chocolates or free “Puppy Love” teddy. 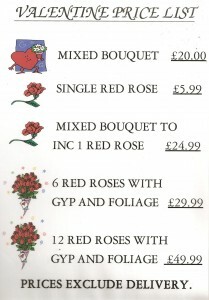 Please see our Valentine’s price list below. 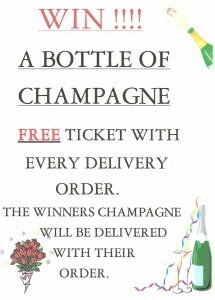 We are taking orders now. Photos of our roses up later this week.